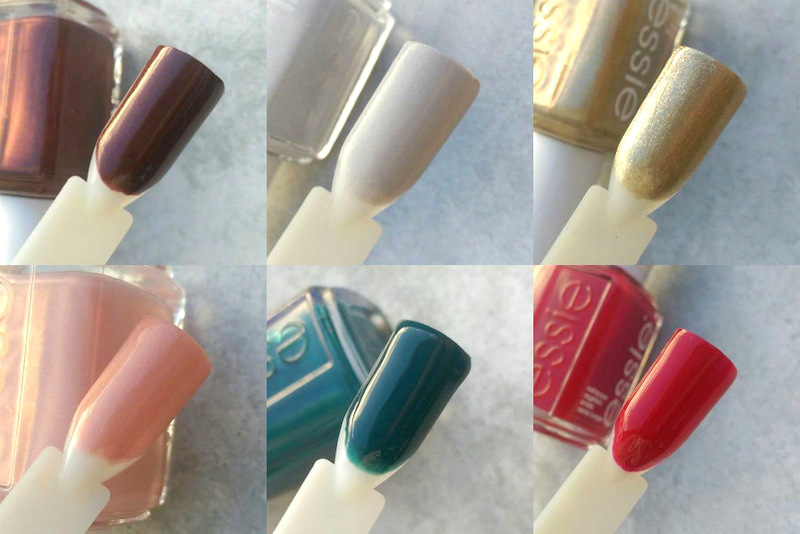 Essie’s new winter collection ‘Getting Groovy’ has arrived! Inspired by the swinging 60s, it invites you to catch a double decker bus to a London club where you can rock your platforms and boa by the scattered light of a disco ball. Going clockwise: Ready to Boa, Go With the Flowy, Getting Groovy, Party on a Platform, Satin Sister and Oh Behave! Of all the shades I’ve immediately gravitated to Party on a Platform (R129,95, Dis-Chem), a ‘garnet red creme’. I love that its so pigmented that you could almost get away with one coat but two gives you max impact. As a pale peep, I find it very flattering and will be wearing it until the bottle hits empty. In a way, it reminds me a bit of last season’s Dressed To Kilt but is the teensiest, weensiest less blue-toned. 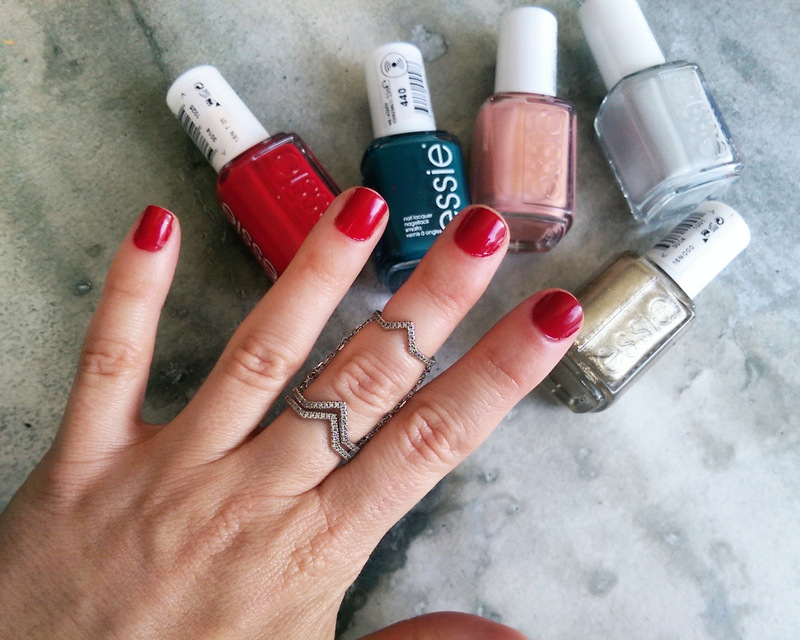 I live and die in red polish come winter. If you spot it on my fingers it’ll probably be Party on a Platform. 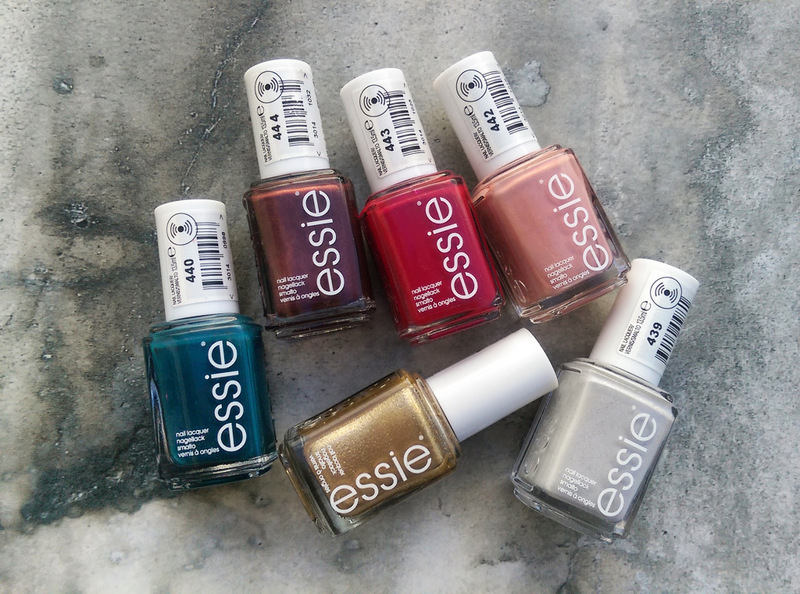 When it’s time to slick on another mani I’ll probably opt for Satin Sister, a ‘peacock blue’ (R129,95, Dis-Chem) and will be sure to update the post with another ‘on hand’ pic. Which shade do you think you’d like best?